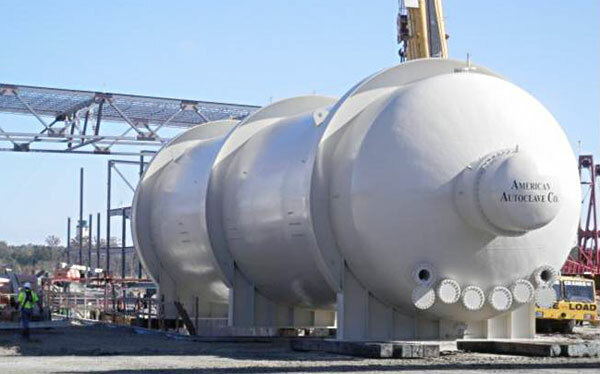 American Autoclave Company manufactures autoclaves for a variety of industries and uses. Listed below are just a few examples of the processes our products are able to facilitate. A modification of pressure-bag and vacuum-bag molding. This advanced composite process produces denser, void-free moldings because higher heat and pressure are used for curing. It is widely used in the aerospace and automobile industries to fabricate high strength-to-weight ratio parts from pre-impregnated, high strength fibers for aircraft, spacecraft, missiles, and in some high-end automobile parts. In recent years, requests from commercial aircraft customers have been shifting towards low manufacturing costs, as well as high performance. 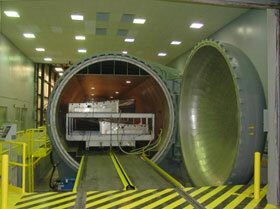 Age forming is one of the most cost-effective processes for forming skins of parts, such as wings and fuselages. It utilizes creep deformation of an aluminum alloy during its heat treatment. In this process, a structural piece is placed on a tool, pressed against the tool by vacuum bagging, and heated under pressure in an autoclave. Autoclaves use for other specific processes; Research and Development, Foams, Space Research, Testing on other new materials created from Science. Pressure for these autoclaves can be done approx 500psi up to 1500psi, with temperatures up to 1200F. Please contact us for more information. 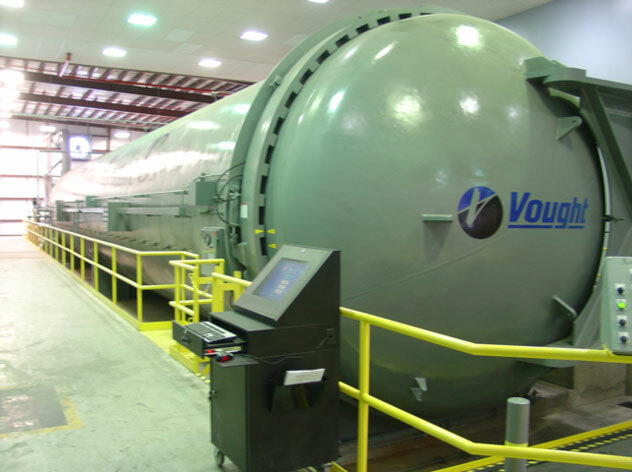 This autoclave produces heat and vacuum inside the vessel, in a carefully controlled environment. The heat and pressure are applied to a sandwich of two or three sheets of glass and a PVB interlayer, which, in the process, becomes a clear, shatterproof glass. 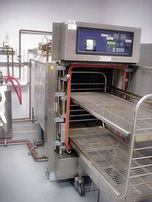 Autoclaves are widely used throughout the medical industry to sterilize equipment and supplies, as well as for pre-disposal treatment and sterilization of medical waste materials. Under high pressure steam, infectious medical waste is neutralized, and the potential danger of disposing of such waste is reduced or completely eliminated. Many hospitals use autoclaves to neutralize pathogenic waste, rubber materials, latex gloves, gowns and other medical waste. 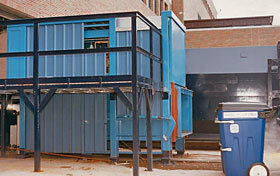 Waste is loaded onto a conveyer that moves it to a shredder. Loading the shredder automatically triggers the opening of the autoclave door below. Once inside the shredder, the waste is automatically shredded, converting it into small cut waste residuals, facilitating steam penetration, then automatically dropped into the autoclave chamber. 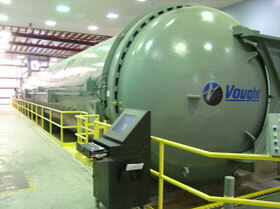 When the autoclave vessel is fully loaded, the door will close, and processing can begin. 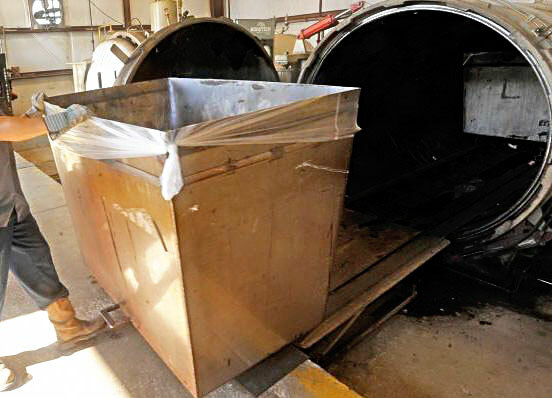 The waste is treated using a high-pressure steam, with a run-cycle temperature of 300°F (145°C). The cycle is pre-programmed with a pressure of 36 PSI (2.5 BAR). Sterilization time: 30 minutes. Longer cycles are possible by programming our control system. The American Autoclave Company (AAC) Cyclo-Flush Bedpan Washer provides a convenient, effective means of processing bedpans and urinals, minimizing odors and cross-contamination. The chamber is rectangular, with rounded corners, and has a door opening inclined to the rear approximately 15° from vertical. 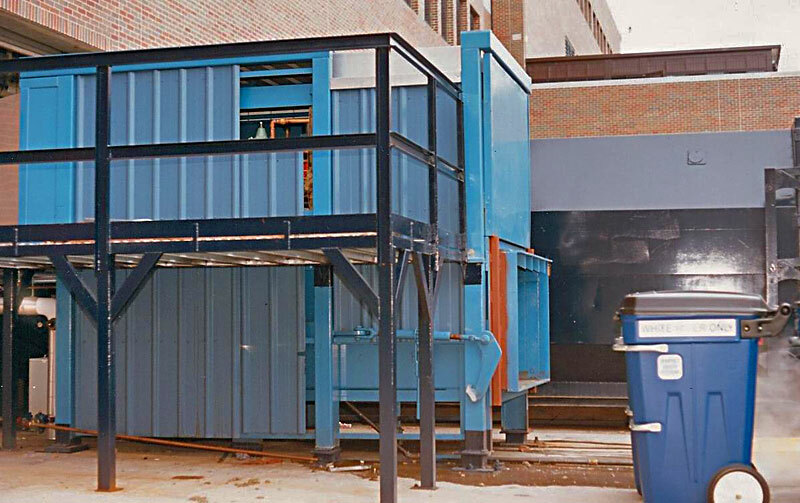 The bottom is sloped, and joined to the trap section, to form an unobstructed passageway for waste matter.